Highland West Capital brings a well-rounded and seasoned team to any business scenario. Our managing directors have extensive experience in operations, finance, law, banking and strategy. They know firsthand what it takes to run a company—and the intuition, blood, sweat and tears involved in taking your investment to the next level. David founded Highland West Capital with the hope of bringing a dynamic senior-level team to invest in and grow businesses on the rise. He’s set on extending his experience—and that of his team—in acquiring, growing and monetizing businesses in the lower mid-market—where great opportunity lies. 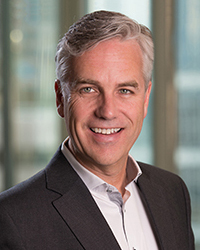 A co-founder and managing director of one of Canada’s leading private equity firms, Tricor Pacific Capital Inc., he brings strategic leadership and risk management to his new enterprise and investments. His direct style and in-depth knowledge of debt and equity markets allow him to build long-lasting relationships and partner with exceptional management teams. As such, he is versed in private and public holdings in a variety of industries including consumer products/services, industrial products, building materials, utilities, food processing, agricultural equipment and packaging. Prior to entering the world of finance, David practiced law for 16 years. Currently, he is on the board of several foundations and private companies, and continues to give back to his community through his philanthropic commitments. David is a seasoned business leader with significant operating and financial leadership experience covering a wide variety of businesses and industries. For many years, David was a Managing Director in the Corporate Office of the Jim Pattison Group, Canada’s 2nd-largest private company. David’s responsibilities included all financial reporting, risk management and Board reporting for both the private and publicly held interests in the group. David then transitioned to an operating role as President & CEO of Conair Group, and its subsidiary Cascade Aerospace, where over time he became the principal management owner. Together with his team, he built these niche aviation and aerospace companies into industry leaders. During his tenure, both companies grew significantly in terms of revenue, employees and profitability. In 2012, David was honored with a CEO of the Year award from Business in Vancouver. Following a successful exit, he joined Highland West Capital. Outside the office, David is involved in various foundations and community organizations, as well as in the Young Presidents’ Organization, British Columbia chapter. Dave is a leading executive in the private equity industry with over 30 years’ experience in the financial sector. 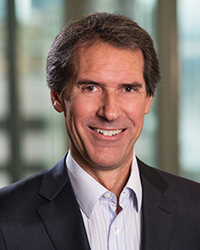 Dave spent the majority of his career as the Head of Private Equity for the Americas at HSBC, where he led merchant banking operations in Canada, US and Latin America with capital commitments in excess of $2 billion. 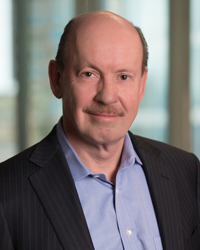 In 2011 Dave led the spinout of both the US and Canadian subsidiaries of HSBC Capital to create Graycliff Partners and Fulcrum Capital Partners. Dave’s many years of experience in both the mezzanine and private equity markets has brought him a strong understanding of how to recognize opportunities and capitalize on such. Dave continues his leadership as a founding Managing Director at Graycliff Partners, a New York City based middle market private equity firm, which has investments throughout the US and Latin America. In addition, Dave joined Highland West Capital in 2015 as a managing director. Highland West Capital Ltd. is a private equity firm that blends the depth of large fund experience with the flexibility of a family office. Dave is past Chair for the Canadian Venture Capital and Private Equity Association (CVCA), the principal private capital association for Canada. Dave also lends his time on a number of public and philanthropic boards. Trevor has recently made the transition to private equity from a successful investment banking career at RBC Capital Markets, spending time in RBC’s Vancouver and London, UK offices. His focus and responsibilities evolved from completing in-depth financial analysis, due diligence and research across numerous industries to marshalling teams to solve strategic and transactional matters on behalf of leading organizations. In his most recent position, Trevor led multi-disciplinary deal teams in order to execute capital raisings and mergers and acquisitions across various capital markets and geographies. At RBC, Trevor was known for analyzing issues from all angles, providing clients with thoughtful advice and being a partner that was always looking to support colleagues. 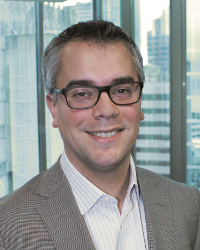 Trevor graduated with Honours from UBC’s Sauder School of Business in 2003 and has remained active with the university through student mentoring and promoting opportunities within the capital markets. Trevor currently acts as a Board Member, Chair of the Finance Committee and Treasurer for the Roundhouse Community Arts & Recreation Centre. Credits | Copyright 2019 Highland West Capital Ltd.